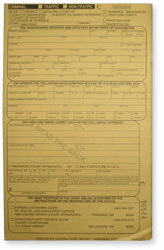 If you receive a gold or eTicket copy of a criminal citation from a Ferndale police officer or in the mail, your appearance in court is mandatory. You have been charged with a crime. 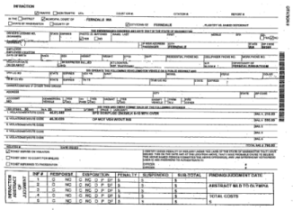 Look for an appearance (arraignment) date near the bottom of the citation. Failure to appear will result in a bench warrant being issued for your arrest. The first appearance in court is the arraignment. Decisions will be made regarding bail or releasing the defendant on his/her own personal recognizance. The court will set dates of future proceedings, such as pretrial hearings, pretrial motions and trial. The court will also inquire about the need for a court appointed attorney.